Two councillors yesterday thanked the Celtic rock band Runrig for their contribution to Highland life and culture over the past 45 years. 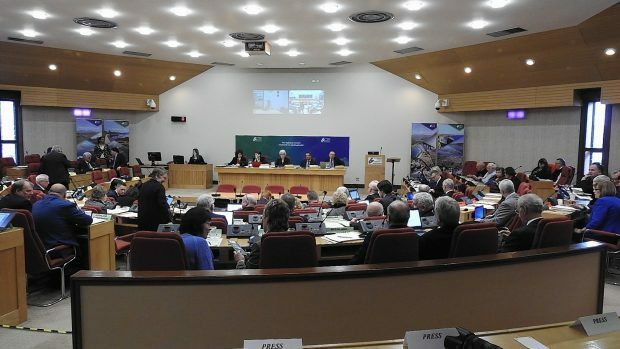 Councillor Kirsteen Currie said: “I was delighted that the motion I raised in the chamber today received unanimous support to thank the band and recognise all that they have achieved. They’ve been and will remain to be, an inspiration for many and we’re very lucky to count many of the members of the band as sons of the Highlands. The tribute comes on the eve of the Blas Festival beginning, a festival celebrating traditional Scottish music and Gaelic culture over the course of its nine days of concerts. Councillor Raymond Bremner added: “It was a real privilege to put on the record the thanks that we owe to the band for what they’ve done for Gaelic culture and song which has promoted the language and culture well beyond the boundaries of traditional Gaelic music yet being sympathetic of it making it more accessible to Gaelic and non-Gaelic speakers alike.